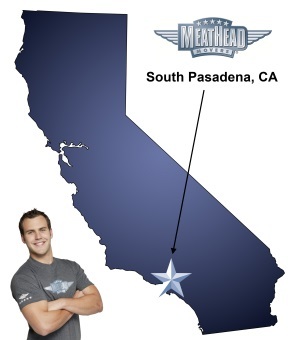 If your future in South Pasadena includes a move, check out Meathead Movers! Our South Pasadena movers are professionally-trained student-athletes, and our moving concierge and Princess Packers are prepared to get you safely moved into your new home. A person can find everything they want in South Pasadena, from exceptional dining to a vibrant local art scene. When you need South Pasadena movers you can count on, Meathead Movers is ready to take your call. Located just six miles from downtown Los Angeles, South Pasadena is a charming suburban community that offers a peaceful environment while still being close to the hustle and bustle of the big city. Its ideal location is also great for folks in the movie and entertainment industries. Beyond its great location, the city is also a safe place to raise a family. With over 100 acres of parks and playgrounds, you will be sure to enjoy your time outdoors with your family. The city also has a low crime rate, a well-knit community, and great schools, making it a great place to raise kids. If you are considering a move to the area, give our South Pasadena movers a call. Meathead Movers was founded by two teenage brothers all the way back in the 1990s. Over the years since that time, hundreds of student-athletes have paid their way through school with the money they earned working at Meathead Movers. We promise to be as careful with your things as we would be with our own. Our attention to detail and our careful consideration of your belongings is just one of the many reasons to hire Meathead Movers. At Meathead Movers, we are also famous for jogging when not carrying a load, which saves you valuable time and money. When you want to hire a crew of dedicated and energetic movers, we are the locally-owned company to call on. In addition to offering first-class packing and moving services, our South Pasadena movers can provide you with plenty of secure storage space, which you can lease for both short-term or long-term periods of time. We ensure your possessions are protected by offering climate-controlled storage that is monitored 24/7, that way you don’t have to worry about your belongings. We’ve worked hard to earn our reputation and we intend to keep it by providing you with the best, most reliable service available. Whether you are relocating from a distant location or are just moving across town, we are your South Pasadena Movers. We provide first-class local, long-distance, and commercial moving services. We are also the only South Pasadena movers who offer a 100% satisfaction guarantee on every move we perform. If you have any questions about moving to South Pasadena or if you’d like a no-obligation, no-cost price quote, contact Meathead Movers today. Use the Contact Us form on our website or call (866) 843-6328. Moving to South Pasadena? Here are some helpful resources. “I had an interesting situation in that I had two storage facilities at two separate locations. The guys (5 of them) showed up promptly at our first stop. They wrapped any furniture pieces up in moving pads and were very careful with everything. They got the first room done very quickly and efficiently. The second storage room was packed to the rim but they saw no problem and immediately got to it! Again, wrapping every furniture piece in moving pads and being very careful with all my things. The truck was loaded very efficiently and properly. Three of the five then drove all the way to San Diego from South Pasadena and unloaded the truck at my destination…another storage room. They put everything in the room exactly where I needed it to be. The only “problem” I experienced was wanting to help them but they clearly had everything under control and I didn’t need to worry about one thing! The professionalism they had was amazing, from the first phone call with Jenny to the actual young men that moved me. These guys are so very courteous and polite, on top of friendly…and very hard working. I couldn’t have asked for more! I HIGHLY recommend Meathead Movers. They made the stress of moving extremely easy on my family and I. View more South Pasadena resources. Careless handling. A box was lost, other boxes hurriedly taped before labeling and the guys did not ask me before taking unfinished boxes, which delays unpacking. A chair was broken, a lamp left disassembled, a file cabinet dropped and dented, etc. Moreover, bedding was left behind on dusty floors which meant a) I had to go back to retrieve the bedding in order to sleep that night and b) now have to wash the bedding which was previously clean. Carlos and Jaime were awesome. Smart, polite, and diligent (not to mention strong). Efficient, polite, hard working fair prices and accomodating. Outstanding professional young men who worked hard and had a great attitude and offered very friendly service. Meathead is straight forward about cost, my movers were super efficient and really pleasant. They update you every step of the way. Meathead movers is a class act buisness. I would suggest them to anyone. everything. friendly, efficient, easy to work with, and a quality job. couldn't be happier.